Ceiling Drywall Repair: Have you removed or rehung a fixture on your ceiling? Mishawaka Drywall can perform ceiling drywall repairs in South Bend, IN so that you will never know there was anything there. Drywall Additions: Building another room or possibly expanding one you already have? We can make it look like your "add-on" was always there. Drywall Demolition: Taking down drywall shouldn't be a big hassle. At Mishawaka Drywall, it's one of our specialties. Drywall Installation: Building a new room or building a new structure? 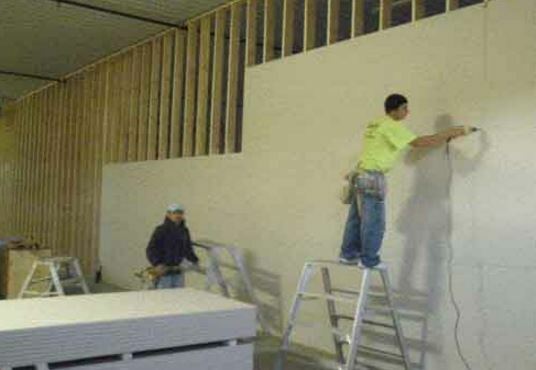 Mishawaka Drywall are the complete drywall professionals in South Bend, Indiana. If a job calls for drywall, we can do it better than anyone. Drywall Remodel: If you are remodeling a home or office building, callMishawaka Drywall to handle it for you. Find out how easy and inexpensive it can be to remodel versus building. Drywall Repair: Problems happen. That's a fact of life. Whatever has happened on your property, if you need drywall repaired, contact Mishawaka Drywall. Drywall Restoration Services: Age, as well as a host of other situations, can cause drywall to need replacement or restoration. With Mishawaka Drywall, we can have your drywall without any effects of any of these problems. Smoke & Fire Drywall Repair: Had a fire? Chances are good that you are being overwhelmed with smoke and fire damage. With Mishawaka Drywall, we not only eliminate the visual effects of a fire, but smoke and the smells of fire as well. Among the most severe damage that can be suffered in a fire is when the firewall is affected. This is because when there is a weakness in the firewall your home is open to any damage that might happen. At Mishawaka Drywall we can repair water damage to your firewall so that fire will find it considerably harder to access your living areas. Drywall Texture Application: Do you want something that will brighten up the interior of your home? Perhaps something more unusual than the normal painting or wallpapering? 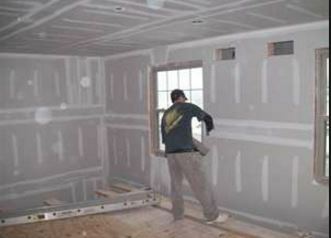 Drywall texture application is a specialty of Mishawaka Drywall. Insulation: Insulation is the most commonly forgotten part of a house that nobody thinks about. Despite this, it's the one part of a home that really keeps the comfort in. At Mishawaka Drywall we pay special attention to insulation. Plaster Repair: There are a lot of things that can cause plaster to need repairs. Age and moisture are just two factors. Regardless of the cause, plaster repair is a matter for professionals such as those at Mishawaka Drywall to handle since making plaster look like it was never repaired is the goal. Popcorn Ceiling Repair: Have the kids taken up fly casting in the house? Did you underestimate the height of the hutch before you moved it? Regardless, chances are good that you have a popcorn ceiling repair that needs to be done. At Mishawaka Drywall these kinds of jobs are everyday occurrences for us. Nobody knows how to repair popcorn ceilings better than we do in South Bend. We'll make your popcorn ceiling look as good at the day it was installed. Soundproofing: Do you have an office that needs privacy? Do you want to set up a new home theater system? Soundproofing will do the trick in both cases. Mishawaka Drywall can soundproof any room of your home or office so that sounds are helpful to what is being done, not a hindrance. Steel Stud Framing: It used to be that the ultimate form of framing was wood. Today, however, steel stud framing has taken the place of the most flexible form of framing. At Mishawaka Drywall, we're specialists at steel stud framing. T-Bar Ceiling: Do you want something different in ceilings? Do you want to incorporate lighting in the job? AtMishawaka Drywall we can install t-bar ceilings, where lighting and ceilings meet. T-bar ceilings are not only highly functional but clean and modern-looking too. 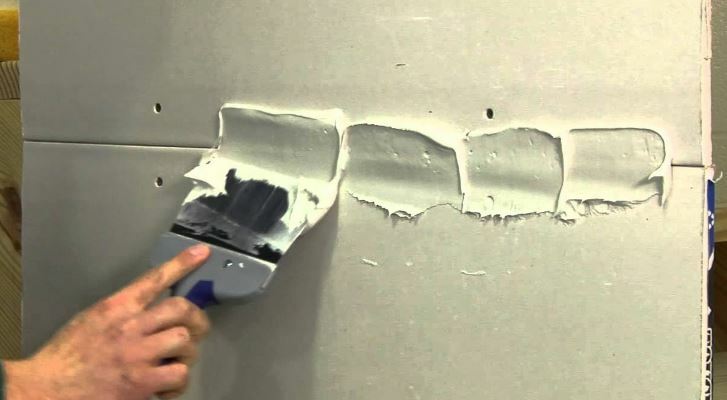 Taping & Finishing: There are probably few parts of a drywall job that are as critical to how the finished job looks than taping a finishing. Without it, your drywall will look unfinished and amateurish. At Mishawaka Drywall, we're the pros who can handle the job. Wallpaper Removal/Application: Whether you have wallpaper that needs to be removed or applied, at Mishawaka Drywall we have more experience than anyone at wall coverings of all kinds.